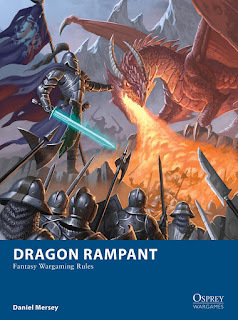 Someone recently reminded me about a Dragon Rampant warband list I wrote for Kawe at Westfalia Miniatures a couple of years ago, specifically for his Halfmen (halflings, hobbits, hobbitsies, and so on) range. I'd completely forgotten about it, so figure you might have forgotten about it too! If you did, or if you've not seen it before, check it out in this nice little publication Kawe put together for several rule sets.